Our organization is placed among the noteworthy enterprise engaged in offering an excellent assortment of Rotary Screw Compressor Oil. 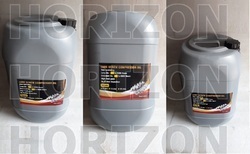 The offered oil is processed using quality substances and by applying latest technology at our vendor’s end. At our vendor’s production unit, the professionals adhere to international industry standards along with keeping a strict check on the quality production. Furthermore, quality controllers from our team opt for strict quality inspection made on the bricks to ensure flawless performance. Apart from this, clients can get the bricks in various specifications meeting the business needs. 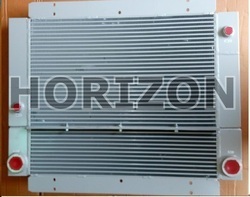 Compressor Radiator Cleaning Coolant offered provide usage as fast acting alkaline cooling system cleaner. 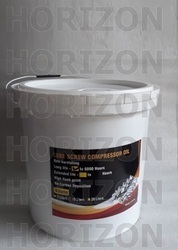 We are Leading supplier Reliable source of Synthetic – Semi synthetic Screw compressor oil Suitable for Atlas copco, Ingersoll-Rand, ELGI, Kaeser, Chicago Pneumatic and many other make Screw compressors. We offer screw compressor having Life of 4000 hrs, 5000 hrs, 8000 hrs and more than that. 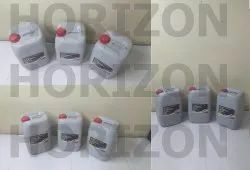 We are Leading supplier Reliable source of Synthetic – Semi synthetic Screw compressor oil Suitable for Ingersoll-Rand , Kaeser, Atlas copco,ELGI, Chicago Pneumatic and many other make Screw compressors. 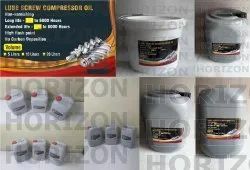 We are Leading supplier Reliable source of Synthetic – Semi synthetic Screw compressor oil Suitable for ELGi, Kaeser, Ingersoll-Rand , Atlas copco, Chicago Pneumatic and many other make Screw compressors. We are Leading supplier Reliable source of Synthetic – Semi synthetic Screw compressor oil Suitable for Kaeser, ELGi, Ingersoll-Rand , Atlas copco, Chicago Pneumatic and many other make Screw compressors.